"a class, offered by the talented Harriet Charles, but so much more than a class! Along with the instruction and a gazillion beautiful flowers to choose from, she provided a serene working environment with beautiful music, delectable eats and treats, and great company!" "...a day I will always remember....good for the soul." Spring is here and it’s time to celebrate! 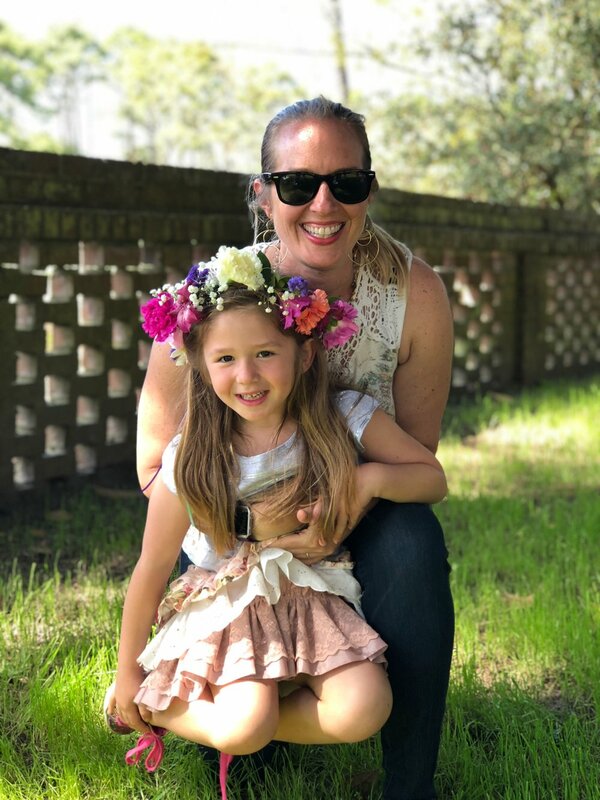 In this hour and a half workshop, you and your daughter will observe nature up-close as we forage for flowers and greenery. We will learn how to craft a crown and then each daughter will make one crown, assisted by Mom! Don’t worry… it’s easy and I’ll be there to help! Bring your cell phone… I have a feeling you will want to take lots of selfies of you and your princess! The fine print....due to the perishable nature of flowers that are purchased in advance, no refunds or credits are given. If you are unable to attend, feel free to transfer your ticket to someone else. If for any reason the workshop is canceled, you will receive a full refund. When you buy your ticket you are agreeing to the above refund policy. Use the register button to secure one spot for both you and your daughter. 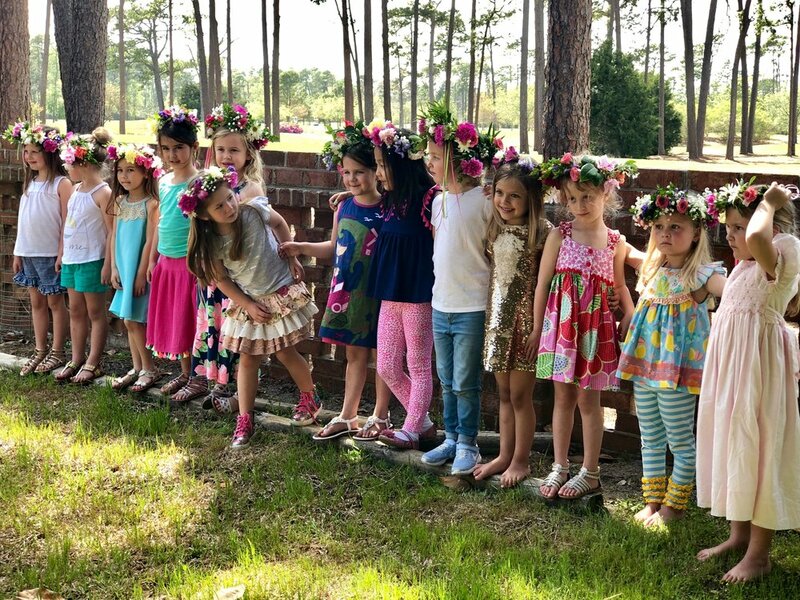 Come join Kym Beckham and me as we celebrate the first day of Spring at Caledonia in Pawleys Island, SC! It will be a magnificent place to usher in the first day of Spring. This workshop is for all levels, even those who consider themselves "uncreative." There will be loads of flowers, some locally-sourced, for a wonderful sensory experience. 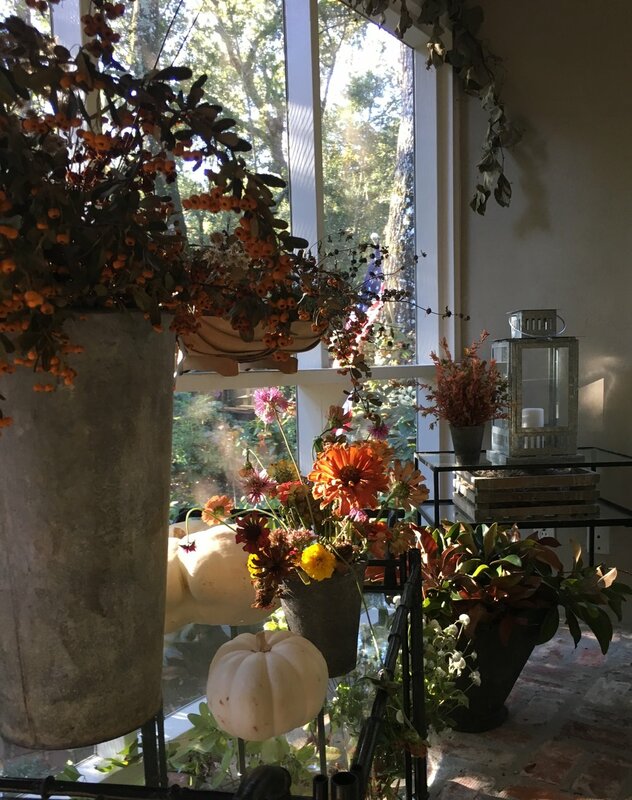 Whether you need the basic skills to make an arrangement or have been creating for a while, you will go home with a beautiful garden style arrangement and fresh ideas to take into the spring and summer! If you are planning on attending with friends? Buy your tickets 2 (3!) at once. Use the register button to secure your spot and to find out ALL the details. Gloves and pruners will be provided, along with warm drinks and good nibbles! Bring an apron, if you’d like, and wear layers and bundle up… if the weather isn't too nippy or wet, we will work outside! If you are planning on attending with a friends? Buy your tickets 2 (3!) at once. Spaces are limited. Pruners will be provided, along with drinks and good nibbles! Bring an apron, if you’d like, and dress in layers… if the weather isn't too nippy or wet, we will work outside all or part of the time! If you are planning on attending with a friends? Buy your tickets 2 (3!) at once. Use the register button to secure your place and to find out all the details. Put your life on hold for a few hours. Put some intentional creative "just for you" time on your calendar. Push the play button, flex your creativity muscles, learn new skills and let nature inspire you! In this relaxing afternoon workshop, you will be working with the rich hues of seasonal flowers, berries, weeds, and grasses. The workshop is open to all experience levels. After we examine what plants work well from our own yards and neighborhoods, you'll learn the importance (and ways!) of preparing the flowers and vessels for your arrangement. 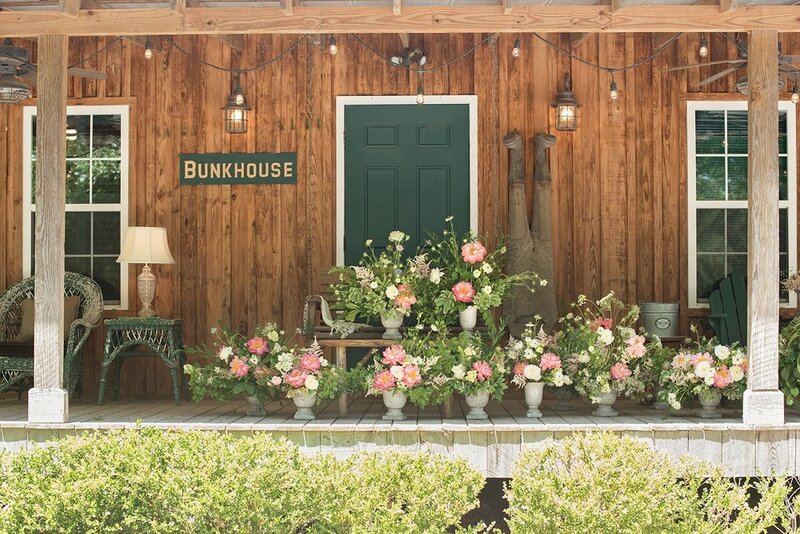 Fortified with instruction gleaned on-site, you will be set loose to create your own beautiful arrangement using seasonal flowers, greens, weeds and all. I'll be right there with you to offer help in any way. More than practicing or learning a new skill, this is an afternoon away from your daily stresses... plus! you will have the skill set to make arrangements down the road. Take the day off and bring a friend, your mom, sister or brother! "... a fantastic day! Everything was perfection." "I felt like I spent the day at a spa." 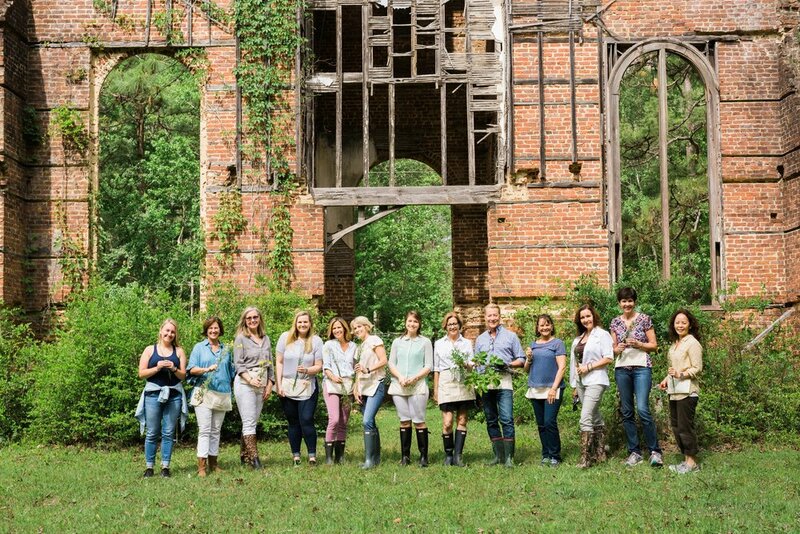 This South Gate Workshop at Taw Caw Plantation is for all levels, even those who consider themselves "uncreative." There will be loads of flowers, some locally-sourced, for a wonderful sensory experience. Whether you need the basic skills to make an arrangement or have been creating for a while, you will go home with a beautiful garden style arrangement and fresh ideas to take into the spring and summer! Last year's workshop at Taw Caw was epic! For all the details click on the link below. Class size is limited. 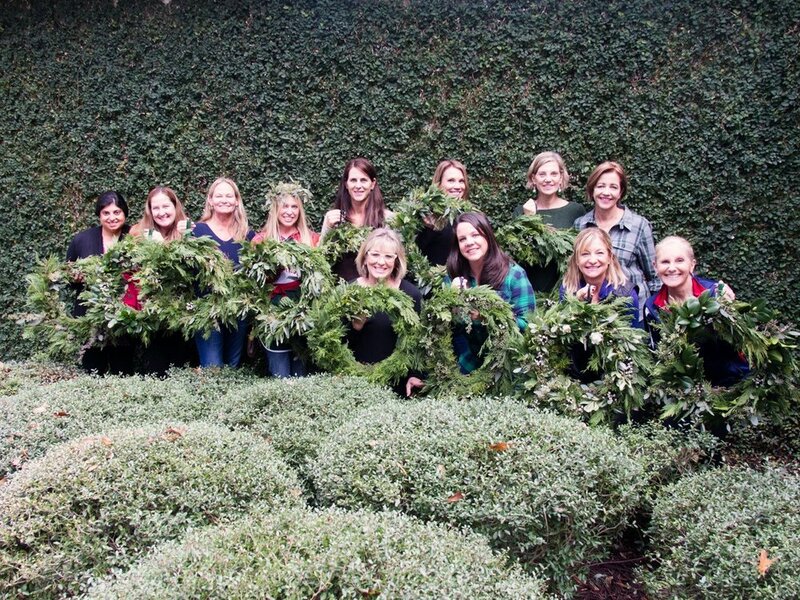 This floral design workshop is for all levels! We will be foraging, playing with gorgeous flowers, eating great food and having loads of fun. For all of the details click on the link below. Class size is limited. When the holiday excitement has settled, I'm going to be ready for an afternoon with flower friends and playing with beautiful flowers. Hope you will be, too! The next floral design workshop will take place on Thursday, January 12th from 2:00-4:15pm. This workshop requires no previous experience and is for all levels. After a demonstration of floral design techniques, each student will create a garden-style arrangement using beautiful flowers and greenery. All you need to bring is an open mind and a grand intention! The vessel and blooms will all be included and clippers will be provided. If you would like bring your favorite apron. You will go home not only with a beautiful vessel with a romantic-styled arrangement, but also with the confidence that you can do this again at home. Full payment of $75 reserves your spot; spaces are limited. Payments accepted: Paypal, credit card or debit card. Due to the perishable nature of flowers, no refunds or exchanges for future workshops are given. If you are unable to attend, you may transfer your ticket for the January12th workshop to someone else. A minimum number of participants is required for this workshop. Celebrate the holiday season with new friends and old. 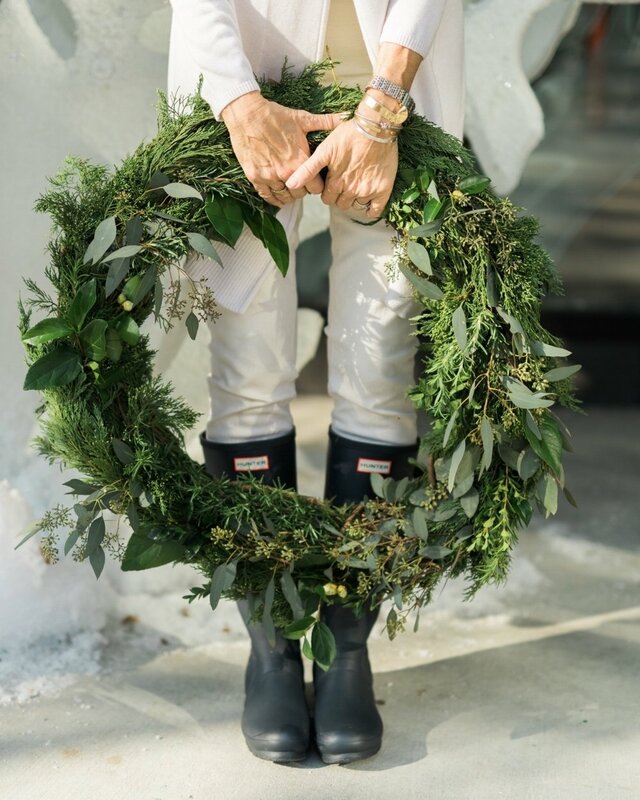 In this workshop, we’ll gather around to create all-natural, one-of-a-kind wreaths. Bring an apron, if you’d like, and bundle up… if the weather isn't too nippy or wet, we will work outside! Plan on attending with a friend? Buy your tickets 2 (3!) at once. Spaces are limited. on the registration link before purchasing.